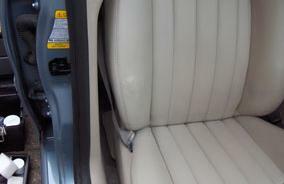 Showing 41 - 45 of 159 matching projects. 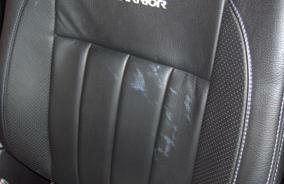 Removed gloss paint from black car seat. 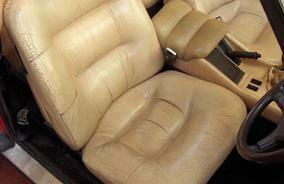 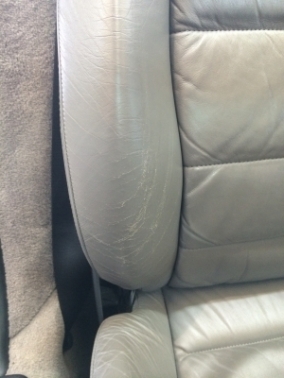 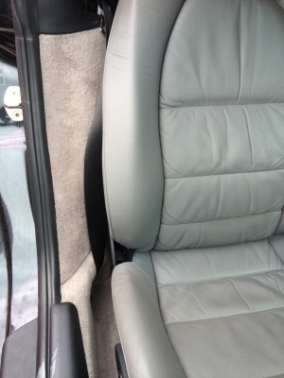 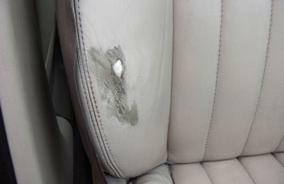 Fix wear & tear on drivers side bolster, as well as repairing the large hole that had developed with years of use. 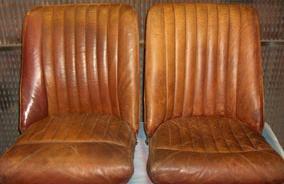 The colour is then restored to match the rest of the leather. 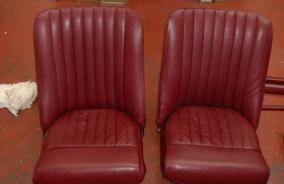 50 year old seats, which has lost almost all their colour. 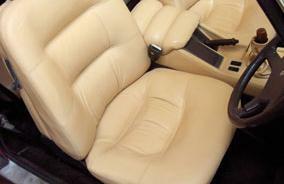 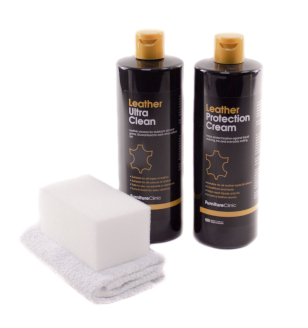 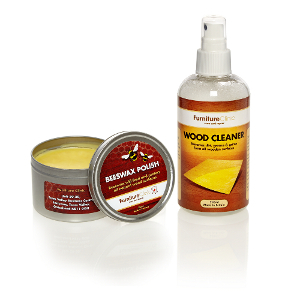 A job like this can be done using a leather colourant kit, or can be done professionally for you. 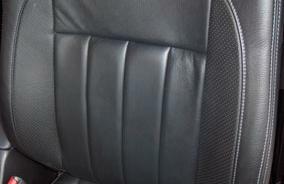 We restored this outer back bolster in our workshop for a very happy client.